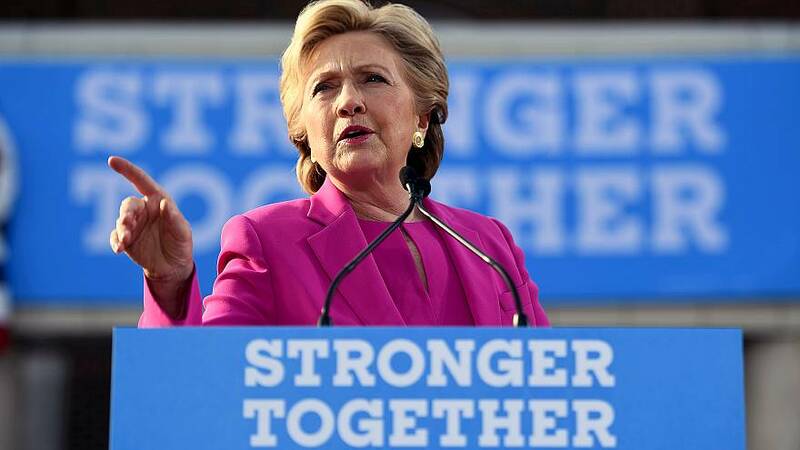 "Now copy my plan on health care, a fairer tax system, and voting rights," Clinton tweeted. Her retort was in response to an image of Trump along with the words "we're only getting stronger together" tweeted from the Republican National Committee's Twitter account on Monday. Trump also said the phrase at his campaign rally in El Paso, Texas, later that night. The RNC then shot back at Clinton on Tuesday: "How about this: We'll give you your slogan back if you run again."